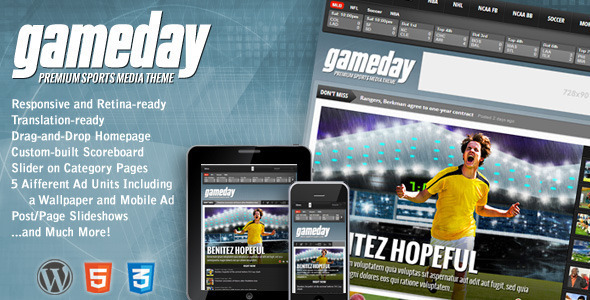 Gameday is the premier responsive sports news and media theme for Wordpress with advanced features including: Custom-built scoreboard integration, a drag-and-drop homepage, a slider on each category page, a fully-responsive layout, a “sticky” menu, five different ad units (including a wallpaper ad), post/page slideshows and so much more! 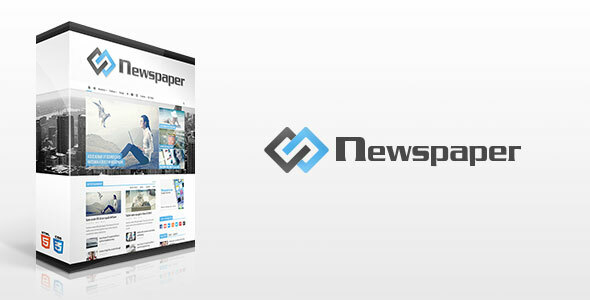 This is the fastest newspaper theme available. All the queries are hand inspected to be optimal, all the images and resources are carefully compress to make the site load blazing fast and all the scripts are profiled and modified to run at top speed. 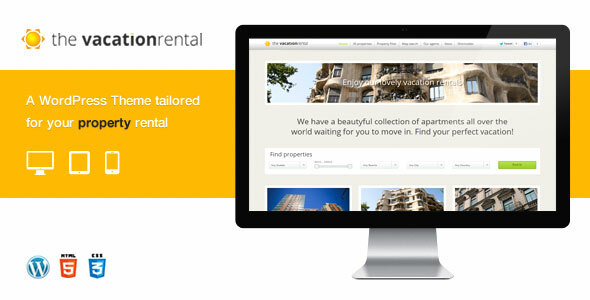 The Vacation Rental is the perfect theme for anyone renting out an apartment or house. It has a special apartment filter page with side or top filter. The apartment page has a special booking form with integrated availability calendar, full customizable list of details and an agent contact form. It will alow you to show off your apartments in all its glory. 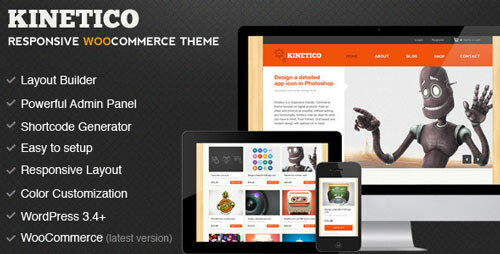 We’ve also added a special booking page with optional PayPal integration to complete this theme. 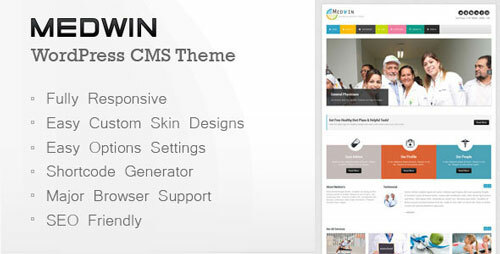 Medwin is a fully responsive website, which uses latest CSS3 & HTML5 techniques and suits perfectly for Medical, Business, Corporate and Portfolio websites. It is cross browser compatible, uses Google fonts. It comes with ready to use Ajax based contact form. 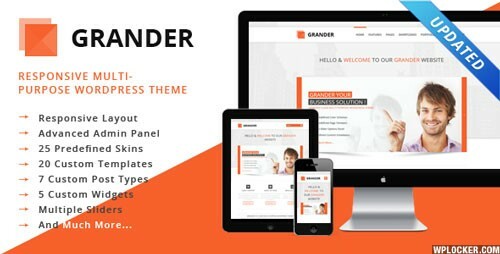 Infinite Colors schemes, Backgrounds (pattern or full), WordPress 3.4+, Layout Builder, Admin Panel, Slider Manager, Unlimited Sidebars are only few things that this theme has! SPA Theme Designed for spa, salon, health care, medical business, massage center, beauty center. The Restaurant theme for hotel, cafe, recipe, restaurant, bakery, cuisine websites. Now WPML compatible too. 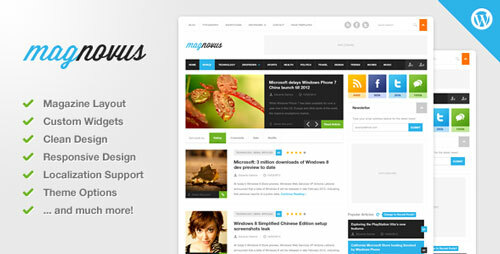 Magnovus is a premium quality WordPress theme for magazines and news sites with rating features. 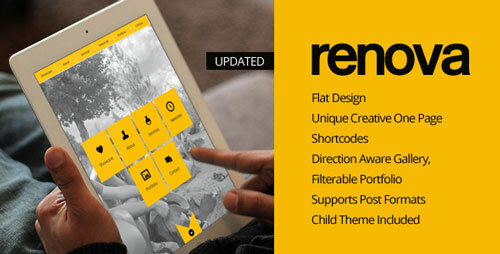 It’s fully responsive theme (it works great on iPad) with extensive Theme Options panel. You can easily change colors scheme and backgrounds.